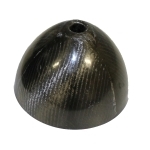 E-PROPS manufactures propellers spinners in carbon, very strong and very light. They are proposed in carbon finish, cutted, well-balanced and ready to assemble. 2 types : standard spinners and mini-spinners. The E-PROPS spinner kit consists of a spinner, its mounting plate and all the screws. 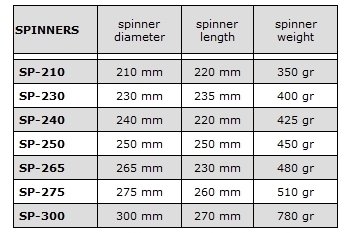 The standard spinners have been designed for tractor propellers ranges only (DURANDAL, VORPALINE). 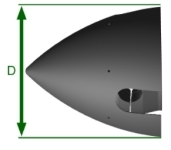 Spinner diameter is depending on the engine cover of the aircraft. 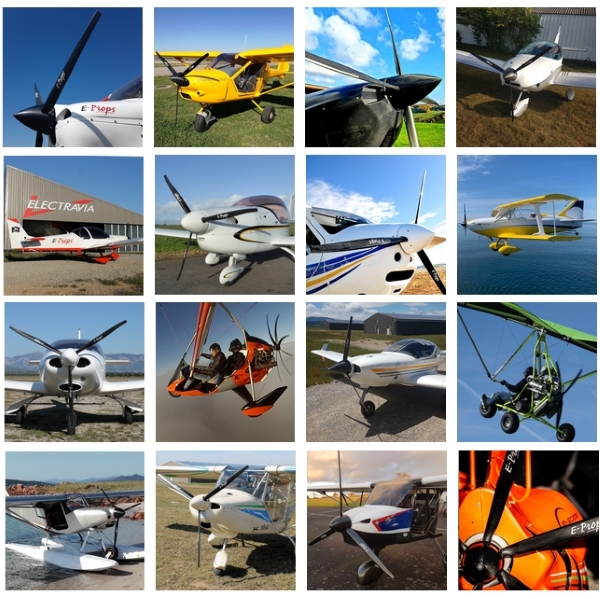 At this day, E-PROPS spinners are available in different diameters. If you hesitate between two sizes, take the smaller, for a better air flow on the engine cover. The E-Props spinners are assembled on the flange of the propeller, which allows them to be very light, because the mouting plate is a stiffener in the middle of the spinner. They are well-adapted to all E-PROPS hubs, standard or extended. Today, the mouting plates drilling patterns are only 6M8d101,6 or 6M8d100 (no holes in 6M8d75). The propeller must be assembled and the pitch has to be adjusted before placing the spinner, or, in certain cases, the blades without the good pitch could touch the edge of the spinner. For balancing, a screw can be putted by E-PROPS on the mounting plate. Please do not remove this screw from the plate, otherwise the balancing would be not good, and vibrations could appear. On the plate, a yellow sticker indicates : "Do not remove - balancing weight". The E-PROPS spinners are carbon finish, shiny polished, without paint, varnish or gel-coat, because those products are very polluting. You can paint the spinner if you want. All you have to do is to sand the surface, very lightly (600 grain sandpaper). The recommended paint is a bi-component polyurethane. A well sanded primer is necessary for a beautiful finish. Be careful to the balancing.